MCT Oil: Is It The Ultimate Way To Burn Fat? Athletes swear that it gives them more energy. So what is this magic elixir that so many claim can boost your metabolism and turn your body into a mean, lean, fat burning machine? It is MCT oil. In his best selling book Lean Bodies, Cliff Sheats recommends taking it to lose weight. Makers of supplements sell it, boasting it is one of the most effective fat burners on the market. Athletes swear that it gives them more energy. So what is this magic elixir that so many claim can boost your metabolism and turn your body into a mean, lean, fat burning machine? It is MCT oil. MCT simply stands for medium chain triglycerides, as opposed to long chain triglycerides (LCT), which are found in most foods. MCT is comprised of primarily caprylic and capric fatty acids, and is a light-yellow, odorless, translucent liquid at room temperature. MCT oil occurs naturally in coconut oil and other foods. It has been used to add calories to infant formulas. Recently, athletes, bodybuilders, and diet gurus have jumped on the MCT bandwagon, embracing its fat burning and energy sustaining powers. So why are so many claiming this oil is the fuel needed to help burn unwanted body fat? According to Dr. Laurie Cullen at the Women's Institute, when MCTs are absorbed into the blood stream, they bypass the digestion process that longer chain fats go through. MCT's provide quick energy for the body and are thus less likely to be stored in the fat cells. Further, Dr. Cullen says that when a meal includes medium chain triglycerides, there is a significant increase in the number of calories burned (thermogenic effect). When more calories are used, fewer are stored as fat, which helps to reduce body fat levels. Many ketogenic diet and MCT oil spokespeople say that MCT's energy sustaining powers can be explained as follows: when MCT oil is metabolized in the body, it behaves more like a carbohydrate than a fat. Remember that the fuel of preference for the body is carbohydrate. Unlike other fats, MCT oil does not go through the lymphatic system. Instead, it is transported directly to the liver where it is metabolized so it releases energy like a carbohydrate and creates lots of ketones (which can be used for fuel) in the process. Cliff Sheats, author of the best selling diet book Lean Bodies, unlocks the mystery behind the calorie combustion properties of MCT oil by explaining how fats are metabolized in the body. According to Sheats, conventional dietary fats found in foods (LCTs), are about 16-22 carbon atoms in length. This is the same type of fat stored on your body. MCTs are only 6-12 carbon atoms long. This difference in molecular structure is the reason why MCT oil behaves differently in the body than do conventional fats. Sheats breaks it down even further explaining since our bodies are 70% water (fat is not very soluble in water), your body has to go through an elaborate digestive process in order to absorb and metabolize fats. The gall bladder produces bile to help dissolve the LCTs generating little fat droplets called micelles. Cells in the intestines make protein carrier molecules to help transport the triglycerides. These fat-protein complexes are called chylomicrons and are released from the intestines into the lymphatic system. The chylomicrons eventually reach the bloodstream through the thoracic duct. Once in the bloodstream, the fats are circulated throughout the body. Insulin causes fat cells (adipocytes) to absorb the fat molecules and store them as body fat. MCT has a smaller molecular structure and is more soluble in water. Therefore, it is easier for your body to absorb and does not require this complicated digestive process. Whereas conventional fats are prone to being stored as body fat, MCT is transported directly from the small intestine to the liver by the portal vein. In the liver, some of the MCTs are turned into ketone bodies, which the muscles can use for energy. Some MCT's are used for thermogenesis, and a portion is converted to ATP, the energy currency of the cell. MCT, therefore is processed in the liver, so there is little left to be stored as fat. However, not everyone is totally convinced of the fat burning powers of MCT oil. Dr. Michael Darnley states that the fat burning properties of MCT oil have been proven effective only in animals. Darnley states that when MCT oil is substituted for LCT's in animals, they gain less weight, store less adipose, and experience an increase in metabolic rate, but there has been less research into how this works on human subjects. According to Darnely, the amount of fat consumed by animals to create a performance effect is far more than the average human consumption of fat. Our bodies are 70% water and fat is not very soluble in water. Your body has to go through an elaborate digestive process in order to absorb and metabolize fats. There are also potential health risks to taking MCT oil as expressed by many healthcare officials. UT Southwestern Researchers have found that MCT oil does raise cholesterol levels like palm oil which is another known cholesterol raising fat. Also, most physicians do not recommend taking MCT oil if you have diabetes, gastrointestinal problems, or high cholesterol. In summary, excess calories from any food can be stored as fat, but some foods convert and store more easily than others. Conventional dietary fat (LCTs), on the other hand, have the same chemical structure as body fat, which is why excess calories from conventional fats are very prone to being stored. Since MCT oil is processed by the liver, it is immediately burned to produce energy. For this reason, it is believed that MCT's have very little tendency to contribute to body fat stores. Thus it is a good way to provide fats in the diet which can be used to support activity or growth without contributing to stored body fat. 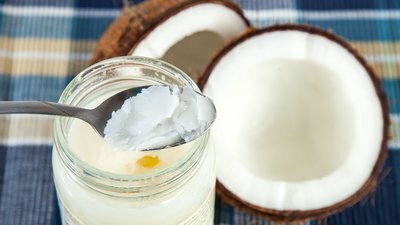 If you are interested in recommending or adding MCT oil to your fat-fighting arsenal, it can be purchased at here at Bodybuilding.com in the form of gel caps, powder, or oil.